Minister of Education Patrick Faber is taking significant heat at the moment. The senior U.D.P. Member of Parliament has been accused of assaulting two women during a party at his home in Lord’s Bank Friday night. One of the women, an employee of the ministry who is allegedly involved in an intimate relationship with Minister Faber, told police that he choked her on his bed and then punched her twice in the face. According to the report, when a female friend of the victim attempted to intervene, she was also punched in the face. The complaint to the police was subsequently withdrawn, and Faber has told the media that as far as he is concerned, that means the matter is over and done with. The police department is following Faber’s lead and refuses to speak on the matter, saying that because the complaint was withdrawn, it does not exist. Well not surprising, the P.U.P. disagrees – and vehemently so. According to P.U.P. Senator, Lisa Shoman, Faber is an elected official, an Area Representative, a member of parliament and a minister of government and he owes the nation an explanation. So, big questions for those mothers? Why would you have your 25yr old daughter celebrate her 25rh Birthday at the house of a 38yr ( May be off a yr or 2) man’s house? Clearly, the Minister of Education should not be given carte blanche in this matter. Any complaint or report made to the police should be kept on file and appropriately investigated. 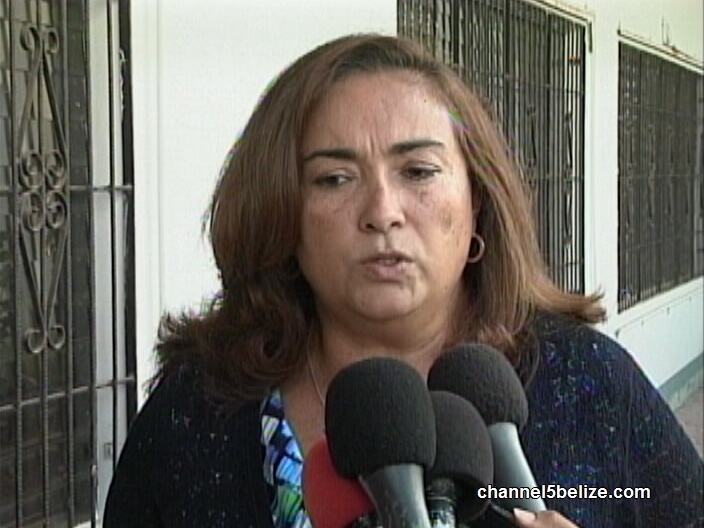 For the police to make a blatantly ridiculous statement that a report does not exist simply because the complainant has recanted her complaint is pure nonsense and a downright insult to the intelligence of all Belizean women. How can we expect the legal justice system to work effectively, with the kind of leadership displayed by these buffoons called ministers of government. Very sadly so, it clearly appears that the so -called Minister of Education is a woman abuser. How can we expect our young people to respect law and order, when those who are in charge of the government easily break the law and are not held responsible. It goes beyond saying that this minister should do the nation of favor and resign. He is a very poor example as a role model for young people. He is not fit to be called the Minister of Education. Rise up Belizean women, rise up and demand that this minister be held responsible for his ruthless and negative behavior towards women. Furthermore, it appears that the police is blatantly refusing, conducting any further investigation into this matter. This is totally irresponsible and disrespecting of women rights under the law. Once a police report has been made, even if the defendant withdraws her statement the report is kept as a future reference under close scrutiny in the vent there is another occurrence of this nature. That is the example this guy is giving to all the teachers of belize, physical abuse is acceptable. Do we really need this wrong information be given to our children of belize?? I would say make this arrogant guy faber to step down from his ministry , couse he is no honorable. These guys show very poor judgement! some women let themselves be victims, stop hiding come out and tell the truth. he hits you once he will do it forever. “no” is not a shame. Well from a legal standpoint the precedent has been set and it’s now open season on Belzean women. A man can abuse a woman and once he can get her to recant, as far as the police are concerned the event didn’t happen. 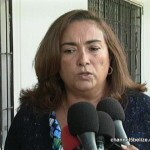 One more nail in the coffin for justice in Belize.